When Hur Su Jung moved to Seoul from Georgia, USA after fifth grade, her parents encouraged her to reconnect to her roots. Her experiences, instead, lead her into sense of limbo between her ethnic Korean background and American schooling. Once a source of worry, this proved invaluable when she began volunteering at Seongnam-si Multicultural Family Support Center, a program run by the Korean Ministry of Gender Equality and Family. 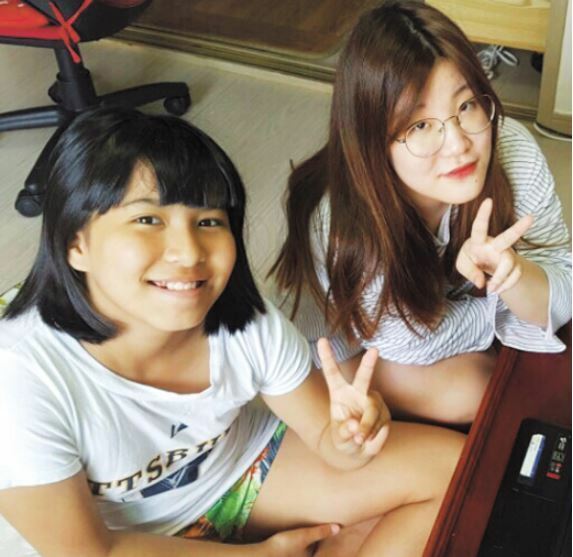 Through-out middle school, Su jung and her friends mentored interracial Korean students by visiting mentee’s homes to help with school work or explain school notices to parents with a Korean language barrier. Sometimes it took just a trip to the movies, organizing a fun photoshoot, or bringing Christmas presents to make her mentees feel appreciated and connected to Korean society, which is only beginning to learn the ropes of developing into a multicultural country. Many teenagers work at the SMFSC program temporarily, but Su Jung continued with increasing fervor exploring ways to tear down Korean society’s prejudices toward interracial and multicultural communities. Her experiences mentoring younger students and visiting the elderly in her community inspired her to start a peer-counseling club in which she serves as president. The club’s major engagement includes promoting the importance of sharing ones problems with other members as a way of forming deep relationships. At CheongShim International Academy, her boarding school in Gapyeong, Su Jung helped plan the Round Square Conference which provided an opportunity for students from India and Bangladesh to discuss and share their different cultures. Leading such discussions between international students left an impression on her, and cemented her belief in the importance of communication, sharing stories, and laughing together to break down social and cultural barriers. Today, Su Jung is working on a podcast titled “Waeguk-in Seoul,” a play on the Korean word for “foreigner”. Her hope for the podcast is that it would serve as an open platform for foreigners in Korea to share their stories about life in Korea from the funny to sad to downright confusing. Su Jung’s episodes include interviews of parents of interracial kids, which shed light onto what it was like to adjust to different cultural traditions or deciding on which language would be spoken at home. Another episode discusses how foreigners hold onto their native cultures when so far from home, such as finding ingredients for dishes from home, celebrating holidays, or creating community groups. After high school, Su Jung wants to continue studying and working in communications, media and psychology hoping that these disciplines and industries can be used to promote understanding and friendship, the pillars that uphold multicultural societies.